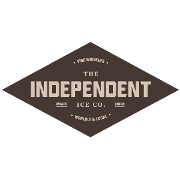 THE INDEPENDENT ICE CO. In the heydey of ice harvesting from 1870-1890, 25,000 men would converge on the frozen Kennebec River each winter to cut and store ice. Maine’s deep lakes, broad rivers, and cold winters created the perfect conditions for pure, crystal-clear ice. During these decades, Maine’s cold harvest brought in more wealth than California gold. 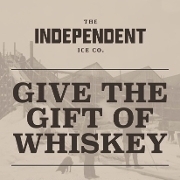 The Independent Ice Co. was born out of the hardworking spirit of those ice harvesters—and the idea that something so pure and simple can provide such a rich bounty.